Just launched, with YouTube sensation Tiana Toys AndMe and Channel 5’s Milkshake presenter Jen Pringle at an exclusive launch event in London, is the brand new collectable range Cry Babies Magic Tears from IMC Toys. 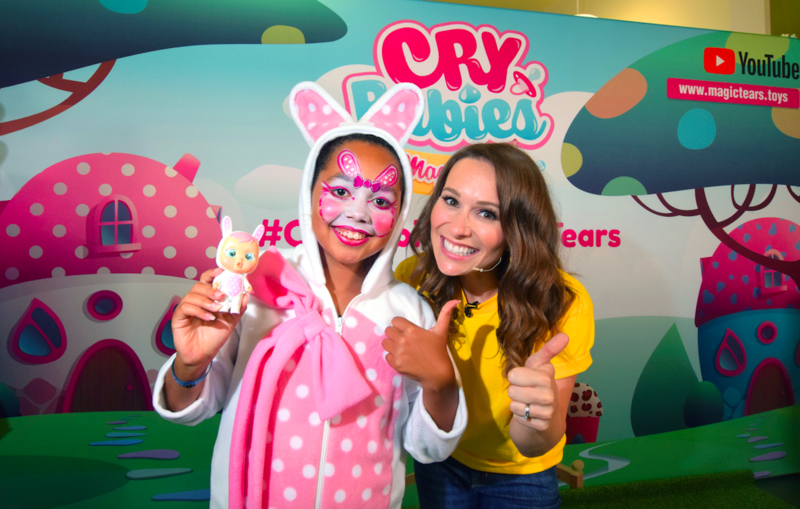 Miniature versions of its top-selling doll brand Cry Babies, this new unboxing collection features the cutest babies that cry real tears and have a magical story to tell. Following the successful launch, the unboxing range has already featured on a number of YouTube channels from rising stars, including Little lady C, Patience’s Magical Toy Emporium, Louise’s Unicorn Powerpuff Girl, Little Red World, and The Meg and Mo Show – who all attended the VIP event, at the V&A Museum of Childhood.